Situated in a charming, calm location on the “West” seaside near the next tourist port, tennis courts and minigolf and only 50 meters away from the historical town center. It has a homely and pleasant atmosphere. Elegantly furnished, with all modern conveniences, it has spacious living rooms with terrace and bar in front of the sea. Free Internet Point for guests. The picturesque dining room, where buffet breakfast is served in the morning, offers a delicate traditional and international cuisine with choice menu and large salad and vegetable buffet. WelcomeLocated in the centre of the little town, it enjoys a favoured position on the sea with a reserved beach and cliffs opposite the hotel. All your requirements will be met by the Adria Hotel, which knows how to respond to your every wish, because the Molena family knows what you need to make your stay enjoyable. The Antoniana hotel is situated on the sea front of the east beacha few hundred meters from the ancient historical centre , which was restructureted for the last Jubileum. ... and it is not far from the beautiful and incontaminated lagoon, of Caorle, which offers an alternative and wonderful seascape. The hotel has spacious living-rooms, dining-rooms,TV, bar and terrace with a finer view of the bayof Madonna dell'AngeloThe Antoniana Hotel is also Cocktail-bar, pastry shop and icecream-bar. The stay will be cheered from fantastic musicalevenings. 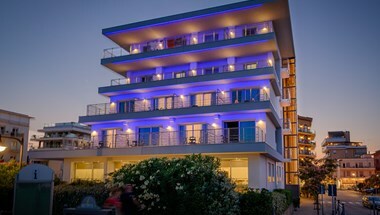 The Astoria is a completely restructurated 4-stars Hotal, situated directly on the western beach in a quiet location, close to the old town of Caorle. 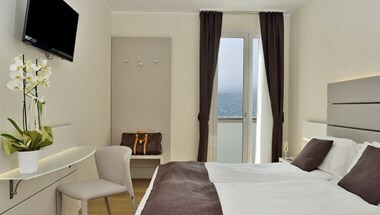 The comfortable rooms are all equipped with bath, WC, sat-TV, telephone, safe, minibar, air-conditioning and free wifi. Moreover, Hotel Astoria disposes of a restaurant with beautiful sea-view, lift, cosy bar with a large lounge, TV room, private beach, bicycles and private parking spaces. 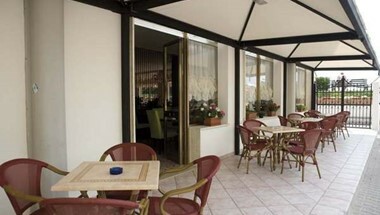 Astoria Hotel is managed in a familiar way and the cuisine offers many international and local dishes. In the restaurant you will enjoy a rich breakfast buffet as well as a salad buffet and a choice of set meals for lunch and dinner. 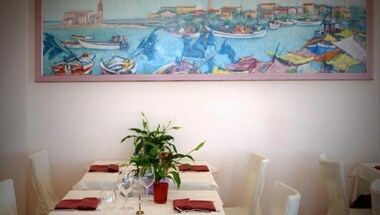 The warm environment, our friendly staff and the fine cuisine will make your holidays in Caorle unforgettable. Hotel Austria is located in front of the sea, in the west side beach, and is about 50 m. from the ancient historical centre. Our Hotel , managed directly by the owner, is provided with lift, privat beach with deck-chair service, tasteful bar, air conditioned, dinning room, living-room, TV room, restaurant, terraced-bar, parking (ca. 800 meters), and bycicles. For the good cooking lovers our chef suggest our fish special dishes. Morning breakfast with sausages, cheese, cakes and fruit juice. Our confortable rooms are provider with privat bath-room, shower, and wc, telephone, tv-sat, safety-box, and air conditioned. 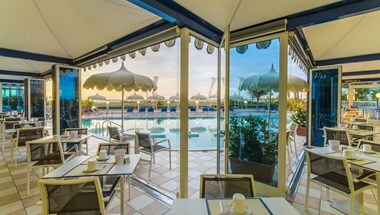 The first thing that strikes you when you arrive at Hotel Eden is the incomparable view from the terraces, the dining room, the rooms and from any position, of the beautiful Eastern seafront and beach and the sanctuary of the Madonnina dell’Angelo. Hotel Eden is situated on the seafront, just a ten minute walk from the old town centre. The tradition of the Soppelsa/Gardellin family as hotel owners dates back to the mid- 1950s. These decades of experience have led us to continually update and improve services: guests will find a welcoming, family atmosphere for a serene, relaxing stay where you can leave all the stresses of daily life behind. 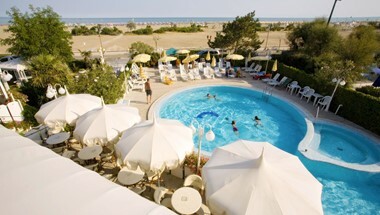 The Stellamare Hotel will welcome you in the quiet Caorle and its marine oasis, gold beaches and natural landscapes. Thanks to its unique, smart and warm atmosphere, you will enjoy every single moment of your holidays. The Battain family and his team are pleased to offer you a peaceful holiday in a family atmosphere, casual and comfortable. 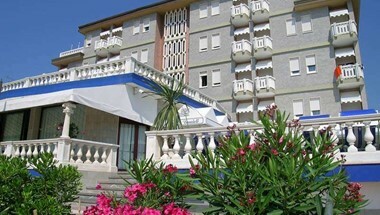 The Tizianbeach is a small 3-star hotel facing the sea, and between the hotel and the beach there are no roads to cross. So it is very safe for children and is a Family Friendly Hotel. The rooms are in classic style "Shabby chic": Comfort and Elegance, family rooms and disabled, equipped with every comfort. 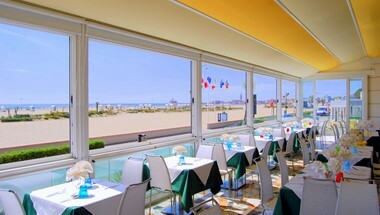 It has a large bar-restaurant terrace with panoramic views of the sea. The restaurant offers a wide selection of regional dishes based on fish and meat, buffet of vegetables and salads and breakfast buffet with homemade jams and homemade cakes. NEWS'!! 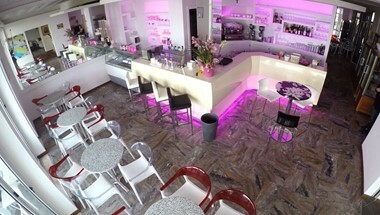 From this year the restaurant also offers meals and snacks VEGETARIAN AND VEGAN! Being a BIKE HOTEL, for lovers of bicycle we organize tours by bike and by bike+boat in the Lagoon of Caorle. 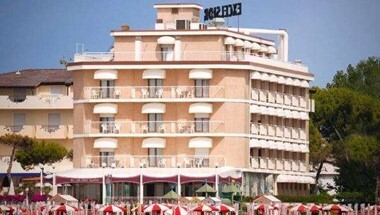 Hotel Venezia is located in the historical city center of charming Caorle at the heart of the town's western beach surrounded by shops of all kinds and just 80 meters from the sea. The Hotel Venezia is especially proud of its traditional home-cooking guaranteed to sisfy even the most demanding palates, and extra attention id dedicated to the preparation of sea-food from the Adriatic Sea. Orietta, Fabrizio and Barbara Battistutta will be happy to offer you a pleasant stay with corteous hospitality amidst elegant and relaxing surroundings. 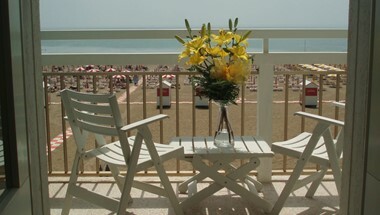 Hotel Verona, facing beach with stunning views over the bay of the Church of "Our Lady of the Angel" in East Beach. Rooms 1, 2, 3, 4 beds, ideal for families too numerous, air conditioning, box-doccia/WC, hairdryer, telephone, satellite TV, safe and minibar. The hotel has 33 rooms, 22 of which are served by. Large dining room with sea view, seafront terrace bar. Full board, half board or bed and breakfast. 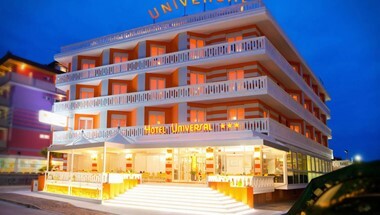 Excellent cuisine with a rich choice of menu, fish every day, breakfast buffet and vegetables. 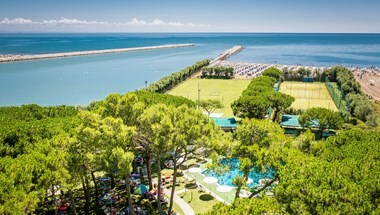 With its superb location, directly on the beach and a short walk from the historic center, Hotel Vienna is the ideal destination for those wishing to spend a pleasant holiday in the beautiful coast of Caorle. Welcome, for more than 30 years, the Moro Family, which offers the best services to make the Hotel Vienna an ideal choice for anyone looking for a little relaxation and recreation. Waking up in the morning, admiring the stunning coastline Caorle and continue with a rich buffet for breakfast and the best way to start a wonderful day. The comfortable dining room, with climate and the large terrace bar will welcome you to your ideal vacation.